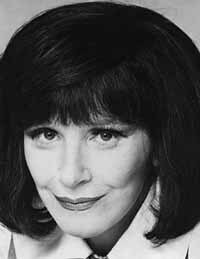 It’s been revealed that Fenella Fielding, who provided the voice for the cheery Village announcer in The Prisoner, is to be the special guest at a ceremony at Portmeirion, North Wales, to honour the Village as being the venue for the outdoor filming for the series in 1966 and 1967. On Friday May 13th, at 11.30am, she will be unveiling a plaque that will form part of the North Wales Film and Television Trail, organised by the Wales Screen Commission. Apart from The Prisoner, she is probably best known for her part as Valeria the vamp in Carry on Screaming but has also played a host of more serious, critically acclaimed roles. She also starred alongisde Patrick McGoohan in an episode of "Danger Man". This will be Fenella's first visit to Portmeirion. To read Ms Fielding's thoughts, visit Cathy Frumerman's Eye on Wales site by clicking HERE. For more information about this event, contact Ceidog Hughes at Ceidog Communications on 01745 814014 or 07958 497592.